Hi, I would like to introduce myself and give you a little bit of my background and story of how I was introduced to the Feldenkrais Method® and how it changed my life and well-being. From my early adult years into my late forties I suffered from chronic migraines headaches. I sought help for this with a wide range of conventional medical and alternative treatments, but none of these successfully provided an effective long-term solution. I found that traditional prescribed drugs and supporting therapies only provided short-term relief, and my chronic migraines continued to plague me. On my quest to improve my personal health, I was introduced to the Feldenkrais Method®. The Feldenkrais® approach provided a unique and more holistic view of my posture, movement patterns, and how I was functionally moving within my own body. After a short period of group classes supplemented by individual sessions, I noticed a dramatic reduction in the number of migraines. At long last I was noticing long-term relief. I was so convinced with this method that I continued to apply my initial learning on a daily basis, and extended this Feldenkrais® learning into all aspects of my daily life. Now, in my mid 60’s I appreciate that my health has improved considerably, and that I get to enjoy my daily living activities, all from embracing the Feldenkrais® approach. What’s more, I was so impressed with the Feldenkrais Method®, I decided to retire from my well-established academic career as a senior lecturer at Victoria University of Wellington, to become a full-time Feldenkrais® Practitioner. I have now been teaching the Feldenkrais Method® since 2009, and have helped many people of all ages, with various health issues, to improve their own health and well-being. I became a fully Certified Feldenkrais® Practitioner after completing the NZ Feldenkrais® Professional Training Programme in 2010 (NZFPT 3 Wellington). I have completed a further 11 advanced training courses, well exceeding the minimum ongoing training requirements. Graduated from the NZ Feldenkrais® Professional Training Programme 2010 (Wellington). Member of NZ Feldenkrais® Guild (MNZFG). 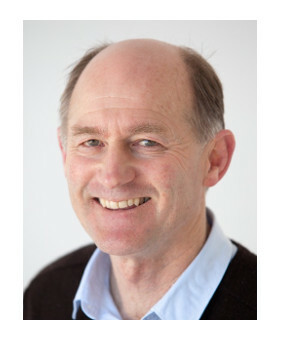 Member of Natural Health Practitioners of New Zealand (NHPNZ). Undertaken 11 advanced trainings including the following areas: eyes, head, balance, neck, arms and shoulders, knees, neuroscience of human function and movement, position of the head with reference to singing and other performance, use of diaphragm with breath for singing and other performance practices. All of these trainings have been conducted by overseas trainers including trainers from Germany, USA, Australia, and France. I hold a current First Aid Certificate. My previous career: I also have an LLB (Hons) and Master of Laws in Jurisprudence. I retired from Victoria University of Wellington in 2008 as senior lecturer after 33 years teaching commercial law. Singing: I took lessons in classical singing (tenor) for eight years with the eminent Wellington singing teacher, Emily Mair. I sang in lead roles for Opera Technique: ‘Rose Marie’, and ‘The Cadi Outwitted (Le Cadi Dupé)’. I sang in the opera chorus for Wellington Opera: ‘Merry Wives of Windsor’ and ‘The Flying Dutchman’. I was in the chorus for ‘Naughty Marietta’ and was also lead role of Jesus Christ in a combined churches production of ‘Jesus Christ Superstar’. Plus a founding member of The Festival Singers and four years as tenor in the ‘Colla Voce’ madrigal group. I am a continuing member of St Mary’s Anglican Church choir, Karori Parish; and vocalist in the Strings music group, St Michael’s Anglican Parish, Kelburn. Cricket: I believe I am the oldest and longest continuous playing member of the University Cricket Club of Wellington! I have been a member of the one day cricket team since 1988 and started playing for the university club in the mid-1970s. Walking: I love to walk when and wherever possible – preferably two steps at a time when going up stairs and with minimum effort! My old mountain bike is rarely used! I wear minimal soles for maximum efficiency. Environment and Gardening: I have a love of native flora and fauna, with a particular passion for native plants. Virtually all the trees and shrubs in our residential property are native, planted by us. I enjoy gardening and maintain a ‘free-form’ (somewhat untidy) organic vegetable garden sustained with mostly Bokashi compost. My ambition is to replace most remaining grass areas with native plants and to build a hugelkultur raised bed. I am also a founding member of the Karori Sanctuary (Zealandia), along with my wife, Gillian. Scholarly Interests: I have an interest in the theoretical and scientific basis of the Feldenkrais Method® including its neurological aspects. I retain an ongoing academic interest in Christian philosophy and philosophy of law in particular. My ambition is to write an introductory text on concepts of law. Religious and Ecclesiastical Affiliations: I am a parishioner of St Michael’s Anglican Church, Kelburn, along with my wife, Gillian. I’ve also had a strong association with the Karori Anglican churches since the mid-1970s.